A productive training session is when you feel motivated and ready to break records, you perform reps and sets without failing and you are having good sensations. Creatmax pH Perfect has been designed to make each of your workout more effective. 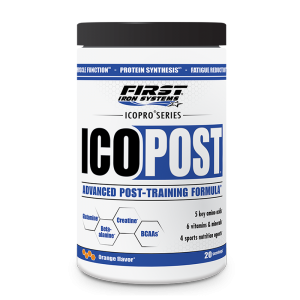 It provides all the support necessary to enhance physical performance¹ and muscle gains². ATP (Adenosine triphosphate) is the body’s only power source fueling muscles while training. By contributing to its synthesis, creatine helps to instantly renew the energy stores. Therefore, the more creatine is stored in muscle cells, the greater the capacity to produce ATP is. With its 6000 mg of perfectly assimilable pure creatine, Creatmax pH Perfect improves performance, especially in successive bursts of short-term, high intensity exercise. Creatmax pH Perfect also includes L-Glycine, L-Arginine HCl and L-Methionine, three amino acids from which the body can make creatine. 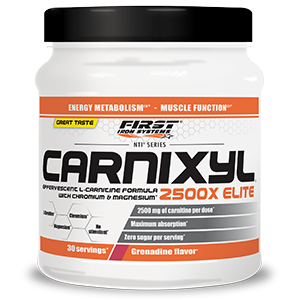 It promotes a further increase of the creatine level available for ATP production during training sessions. The BCAAs (L-Leucine, L-Isoleucine and L-Valine) and taurine are particularly important for athletes because they make up a large part of the amino acids found in muscle cells. But the intramuscular stores are strongly depleted while working out. That is why it is essential to renew and maintain them through supplementation. Creatmax pH Perfect brings an adequate amount of micronized BCAAs and taurine for a better assimilation. Creatmax pH Perfect offers the advantage of being carb and sugar free (zero gram per serving), which is ideal for all those who wish to control their intake. Creatmax pH Perfect is an ultra-premium effervescent formula offering the athletes the opportunity to achieve unprecedented results. Creatmax pH Perfect is characterized by its technologically advanced effervescent complex ensuring a protective effect during the metabolism of the nutrients included in the formula. By promoting a more favorable pH environment, it prevents creatine from being converted into creatinine (and from becoming inactive) when in contact with the acid stomach fluids, which promotes a more efficient assimilation and a better storage into muscles. Creatine increases physical performance in successive bursts of short-term, high intensity exercise. ² Green tea and its catechins contributes to fat burning and oxidation. 1 dose = 15 g. First pour the powder, then add 300 to 350 ml of cold water. Let the effervescent reaction work (for about 30 seconds) and consume directly. Training days : drink 10 minutes before working out. Rest days : take when you wake up or in the morning. Creatmax pH Perfect is stimulant free and can thus be used at any time of the day. Ideally, take it for 8 weeks. ATP (Adenosine Tri-Phosphate) is the body’s power source enabling muscular performance. When this ATP is used, it breaks down into ADP (Adenosine Di-Phosphate). Creatine transforms back this ADP into ATP, which helps to renew the energy stores instantly. That is why the more creatine muscular fibers contain, the greater the capacity to produce ATP is. Creatine occurs naturally in foods such as meat and fish, allowing to meet the needs of sedentary people. But athletes may need an extra creatine supply as their stores can be depleted by regular intense training sessions. 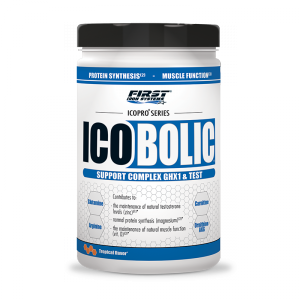 Supplementation is a particularly efficient and easy way to increase creatine storage into muscle cells by 10 to 30%, which results in greater athletic performance, strength and resistance. We carry out a lot of tasting tests with real users until we get the best result. 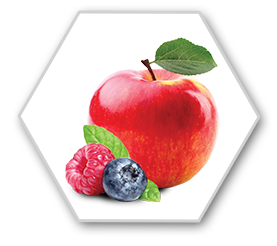 The goal is to propose unique and gourmet tastes, but with no carbs and no sugars (zero gram per serving), that you’ll just love session after session. 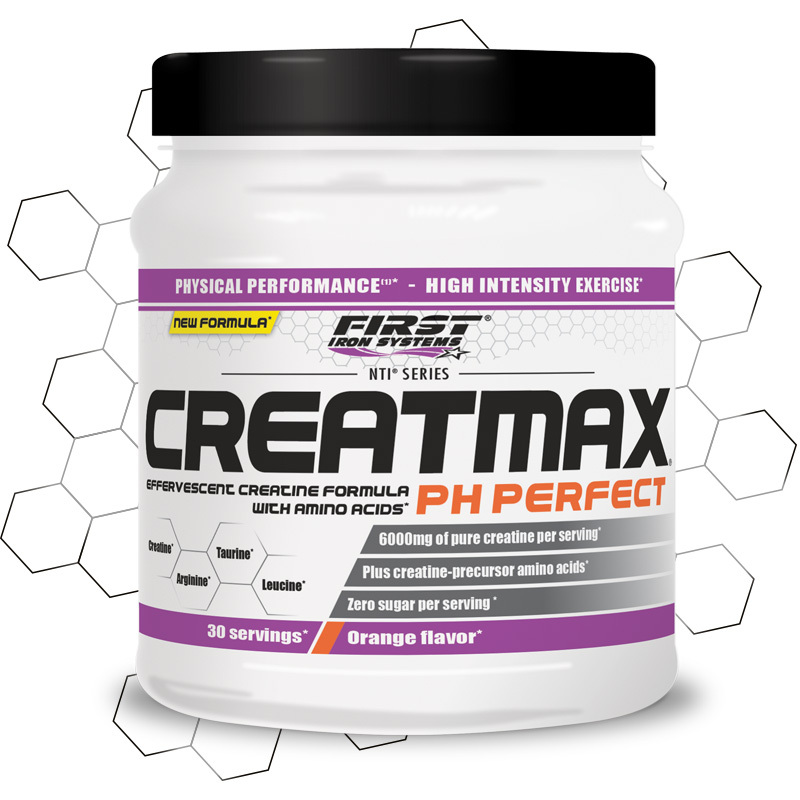 Creatmax pH Perfect brings all the energy fuel needed to push each of your training session beyond previous records. Contrary to Creatmax Energized, it is caffeine-free and can then be used no matter when you train, even if it is at the end of the day. 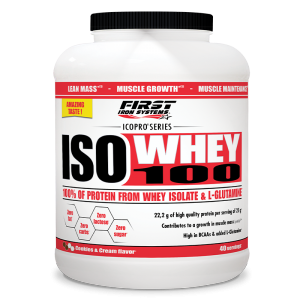 A great product to train harder with heavier weights. To achieve outstanding quality, we pay close attention to each step of the manufacturing process of Creatmax pH Perfect from raw material selection to production. 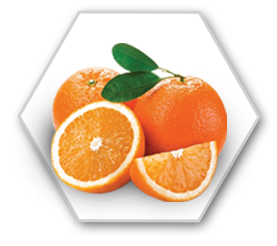 We also carry out strict controls to make sure our products meet the highest standards of quality. That is why you can be sure that each component listed on the label is fully included in the bottle.